Watercolor and ink painting of hunter horse haunches. 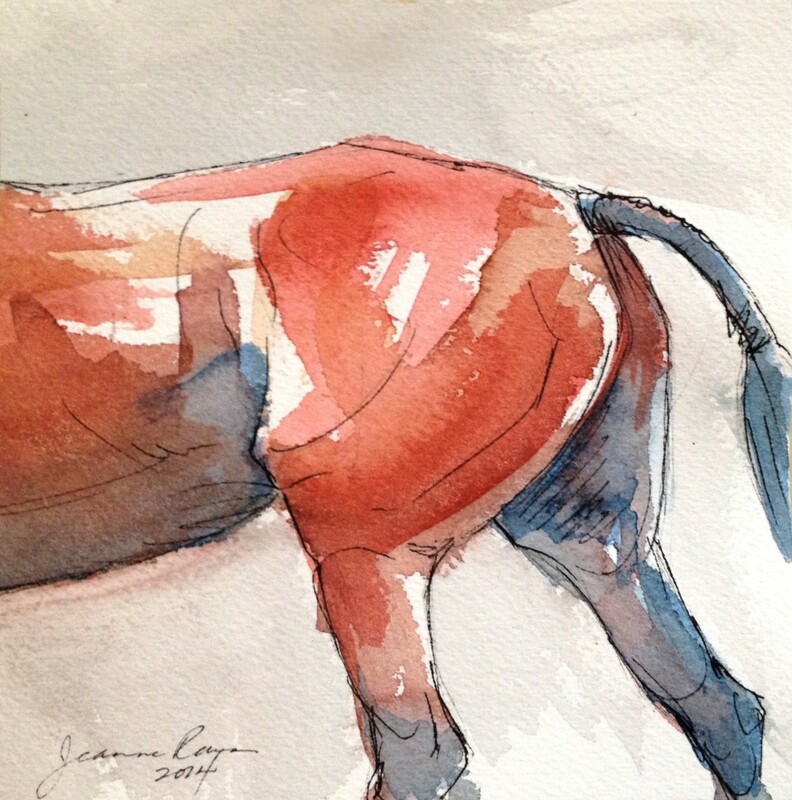 This entry was posted in Ink Drawings, Watercolor and tagged bay, Blue, Hunter, ink, Red, Sketch, Small, Thoroughbred, watercolor. Bookmark the permalink.